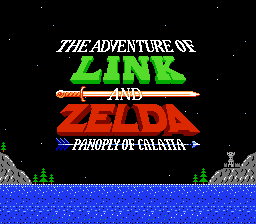 Welcome to PureZC, the popular Zelda Classic community! PureZC is a community dedicated to the game-making program Zelda Classic. We have a comprehensive database of quests and resources made for the program, a discussion forum, and a Discord chat server. To get started with Zelda Classic, you can download the program from the official site. If you're new to PureZC, you might be wondering just where to begin. For starters, you can register an account and introduce yourself on the forums. Be sure to check out the community's rules before posting. 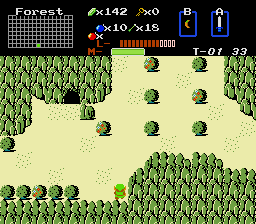 You can talk about Zelda Classic in general here, and if you're interested in making games, you can learn more about how to use the quest editor through the tutorials, ZQuest Editor Help, Scripting Discussion, and other forums dedicated to the program. Or, if you're looking more to relax and socialize, perhaps you'll find the General forum more to your liking. Our Discord server is also a great place to chat, so check it out, too! Check here for contests such as the popular Screenshot of the Week, and be sure to check the Announcements forum for special events and important notices affecting the community. If you're looking to play some quests, look not farther than the quest database! Here's some iconic quests from ZC's history, as voted on by the community. These represent a nice sampling of different game genres, and include both classics from the past and modern favorites. But the database has a whole lot more variety, so be sure to check it out for other great quests. For scripting resources, try starting with the popular custom enemy header, ghost.zh; the ffcscript.zh header which offers some quality of life improvements for running scripts; and scripts for things like freeform shutters or custom npc's. 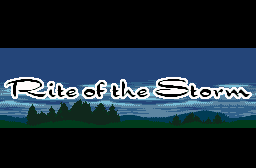 I also recommend checking out other sections of the database for tilesets, loose tiles, music, and more! Questions? Please contact any member of the staff, or post in the Staff Dropbox. Once again, welcome to PureZC! We hope you enjoy your time here. Welcome once again to Monthly Review, the PureZC monthly news corner for January 2017! Er, wait, are we not doing that anymore? Wait, it's no longer 2017!? Why hasn't anyone told me? Where did 2017 go!? Quick, we must find out where it went and follow it! In the meantime, welcome to this month's Monthly Review for January 2018! We here at PureZC hope you had a good holiday season and a fantastic New Years! Of course, just because it's the holidays doesn't mean activity has stopped, so let's get right into this month's news! Nominations for the 2017 Superlatives awards are open! Head over here to learn more about the Superlatives and how to nominate your favorites! Enemy of the Month has had a good run, but now it's time to say goodbye, cause your Enemy of the Month is evolving! Enemy of the Month will be replaced with the new ZC Creator Showcase, a new event similar to the expo, but more smaller scaled and frequent! With the end of Enemy of the Month also comes the final contests of it. Be sure to vote in the finals for Enemy of the Year 2014, 2015, and 2016, and well as perhaps submit to the very final Enemy of the Month, EotM 28: Final Boss theme! 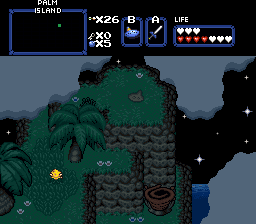 Zelda Classic Version 2.53 Beta 11 is out! Fixing a few evil bugs introduced in Beta 10, this Beta is the latest stable version of the 2.53.0 line! If you want to support ZC development, go get it and help test it out! 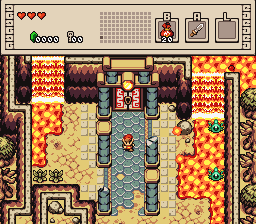 Vintage Dreams Tileset by Shane and Lunaria: A new WIP tileset dedicated to faithfully recreating the Gameboy Zeldas in a more faithful and organized fashion than EZGBZ. 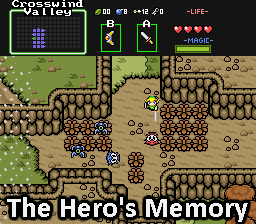 Not only that, but the tileset will come packed with many scripts implemented to recreate the gameboy feel, such as Seed Shooters, Shovels, and more! The Legend of Zelda: Titans Gate by Gege is an ambitious project revolving around Link's quest to defeat Ganon and save Zelda. With numerous scripted features such as a day/night system, custom Ocarina of Time styled subscreen, and more, it's sure to be entertaining! Regalia's Legacy by Matthew is an EZGBZ project, featuring diverse settings, plentiful dungeons, and a expansive backstory. It's also one of the most beautiful projects made with EZGBZ, so check it out! Superpatch13's Throwback is an unconventional remake of the very first Zelda quest. Featuring no scripts besides a single bug fix script, and built in the Pure tileset, this quest is very unique despite being a Z1 remake. 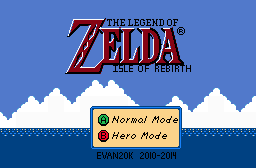 Having things such as Twinrova's third sister Beth, a fight against Bubbleman, and perhaps a greater foe beyond Ganon, this remake really is refreshing in it's abnormalty. 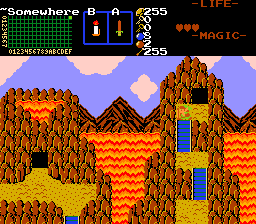 While most of the overworld is blocked off until you progress further, it's still a blast to explore, and we really recommend you give it a try! Enemy of the Month: Vote in the EotY finals and submit to #28! Map of the Month: Vote in #93 and submit to #94! Screenshot of the Week: Submissions due every Sunday! With all that out of the way, we here at PureZC wish you a fantastic Winter as we rush forward into this glorious new year of 2018! See you next month! Welcome to the site news update for June! It's been awhile since the last update, and since then we've received 3 new quests! But before we get to that, here's some quick information about some happenings around the site. The staff have added a bit to the Site and Forum Rules regarding spam. It deals with "grave-digging" by posting in very old topics. While we haven't had a hard rule on this for quite awhile, we still expect any posts reviving very old threads to have a purpose, otherwise the thread may be locked. You can read about the rule change in more detail and raise any questions or concerns you have here. After a lot of consideration, we have decided to discontinue the Screenshot: Challenge Accepted contest, due to dwindling community interest and the retirement of its host. But why not go out with a bang? The final contest is open to entries until Friday, June 16th. As of this writing, you still have time to enter. Let's make this final challenge a success, and send the contest off in a blaze of glory! Now for those quests! 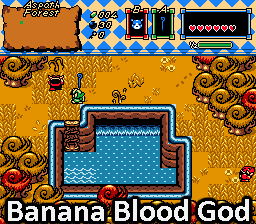 First, we have Triple Tri by Lulamoon31, a classic-styled quest with an emphasis on searching out overworld secrets and collecting hidden keys. Next up is strike's Faster, a quest with challenging combat, sharply focused around speed runs - get the fastest time, and you could be added to the in-quest Hall of Fame! Finally, there's Bits and Bites by the newcomer I am a guy. Why not check out this new member's first quest effort and send some tips and encouragement his way? That's all for this month. Thanks for reading! Welcome to the Monthly Review, which is totally on time! This covers the period of time since our last update in mid March, and a total of six new quests have been released since then! First of all, nicklegends has stepped down as host for Map of the Month. We considered retiring the contest, but after hearing from all of you, we've decided to keep the contest open. If you're a fan, why not submit and vote? My hope is that the energy community members have for keeping the contest going will translate into more entries and more creativity. Are you building a quest? Why not share a map there as a teaser to garner some interest? There's no need to make a whole map solely for the contest. Creators sharing their projects and creativity is one of the things this community is all about. Many thanks to nicklegends for hosting the contest for so long, and to Eddy for stepping up to host the contest now that he's retired. Now, about those quests. First, we have Prismatic Triangle by newcomer Elvis002. 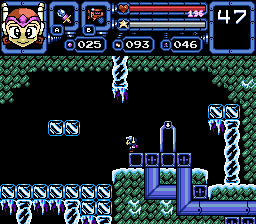 He tries some fairly ambitious area aesthetics in the classic tileset. Not a bad effort for his first quest! Next up is IcyZelda by IcyMind. If classic style quests with traditional dungeon structures are your thing, you'll probably find this pretty cool! (Ice puns are the height of wit and never go out of style.) Elemental Journey by NACl586 is a classic quest in structure, with an emphasis on stylistic dungeons themed after a variety of unique elements. Chocolate Shadow Temple is a sweet little mini quest from Joelmacool. At a bit over an hour long, it promises some unique gimmicks. Hyrule Remastered by TheRock compiles highlight dungeons from his previous quests into one quest aiming for concentrated quality. Finally, What You Deserve by Lüt began as a 24 hour quest contest entry, and was well received as a short, competent classic-styled quest. We don't usually cover scripts here, but I'd like to make a special mention for Moosh's Pit Script. Pits are commonly used in scripted quests, and the most popular one is old and no longer supported here. If you're looking for an alternative, give Moosh's a try. That's all for this month. With so much new content popping up, you should have plenty to keep you busy until next time. Happy questing! Welcome to this month’s PureZC news corner! There’s been a few things happening around the community since the last update, so let’s get right to it! First things first, The Legend of Zelda: Breath of the Wild was released on March 3, along with the Nintendo Switch! As can be expected, there’s been a lot of activity and discussion about the game ever since it was released. If you want to join the discussion, feel free to post your thoughts on the game and discuss cool things you’ve found in the designated topic on the forums! There’s also been a few quests released to the database since the last update. 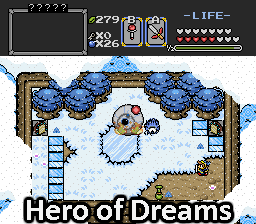 First up is Bombos’ second released quest, Another Land, which is a NES-styled quest created with the Instrumentality tileset! Next up is Mayath Island by Cedric! Being his second released quest, the story in this dungeon romper serves as a continuation of his first quest. Next, we have Yuurei Randomizer by Russ and Aevin! 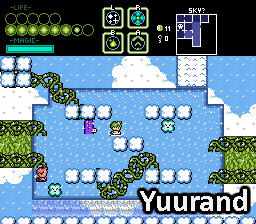 As the name implies, this quest randomizes all the item locations, characters, bosses, and more from the original Yuurei, and includes even more new content! And last but not least is a completely scripted quest from Gégé called Zeltris! This unique quest is essentially the game Tetris on Zelda Classic, with tiles that look like classic enemies from Zelda and different difficultly levels to choose from. Be sure to check out all of these new quests! That’s about it for this month! Thanks for reading, and see you next time!